A ridge of low mountains and hills separates the valleys of the River Tiber and its tributary Nera. The region housed some very early settlements which were favoured by the abundance of water and by the natural trade routes provided by the two rivers. The region was conquered by the Romans in the IIIrd century BC. 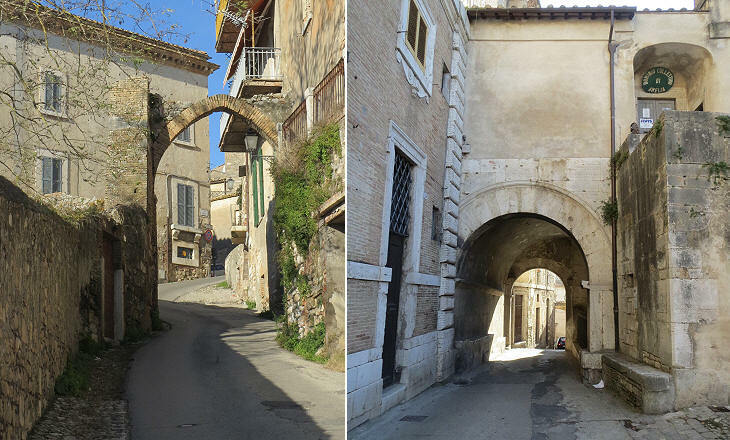 They opened Via Amerina, a road between Via Flaminia at Narni and Via Cassia at Chiusi near Città della Pieve. 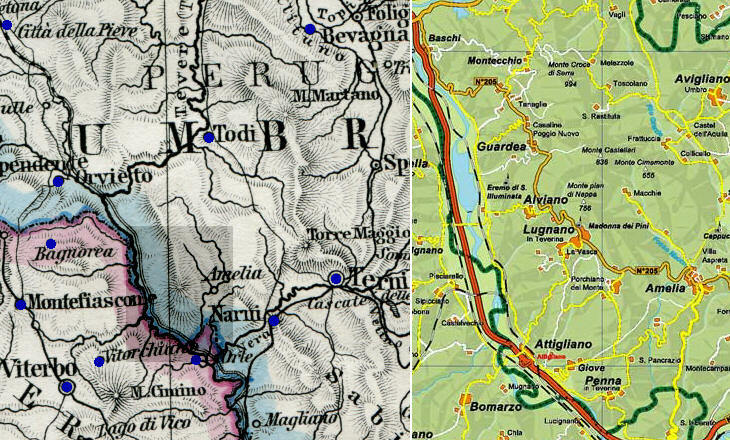 In the late VIth century the region was part of the "Byzantine corridor" which linked Ravenna to Rome across Longobard territories. 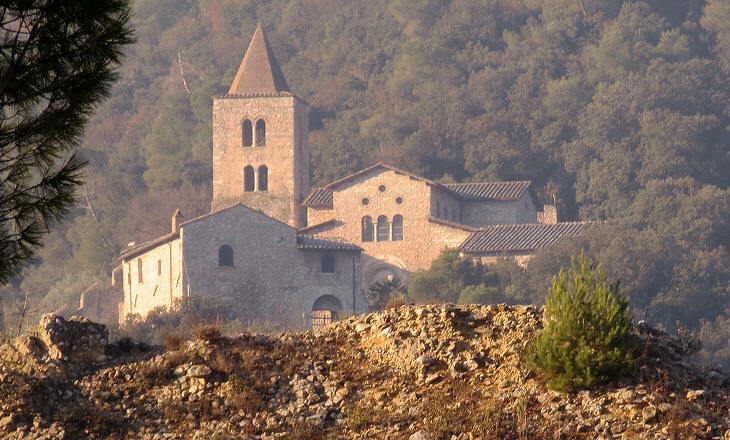 When eventually the Longobards occupied the region the Benedictine monks of Abbazia di Farfa acquired several fiefdoms. In the XIth century Amelia, the main town of the region, became a flourishing Comune (Italian medieval city state) until 1307 when it had to acknowledge the sovereignty of the Popes. Aut Amerina parant lentae retinacula viti. Virgil - The Georgics - 265 (Amerina's willow-cords to hold the lithe vine). The quotation by Virgil indicates that in antiquity the region was carefully farmed. This tradition was not lost, because, unlike other parts of the Papal State which were characterized by poorly managed very large estates, in this part of Umbria mezzadria (halving, sharecropping) was the usual mode for cultivating land, similar to nearby Tuscany. Tenants farmed a variety of crops and plant species (grape, olive and fruit trees), rather than a single one. 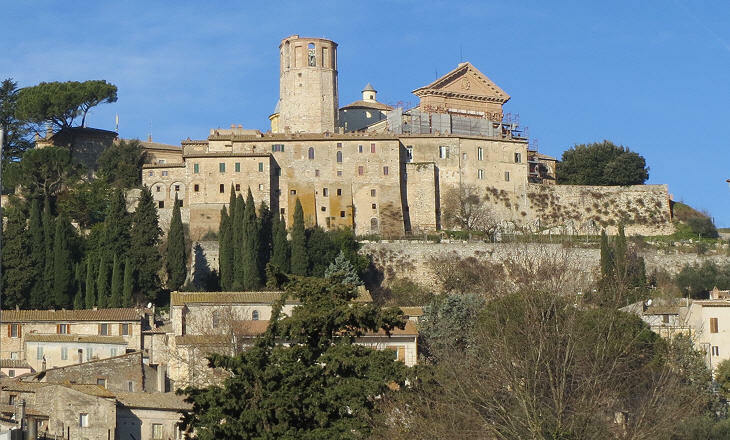 It is a drive of 6 miles from Narni (carriage 10 francs) to the old city of Amelia beautifully situated on the side of the Umbrian mountains. This town is seldom visited, but well deserves attention. Amelia is situated at the top of an almost conical hill at some 1,200 ft. 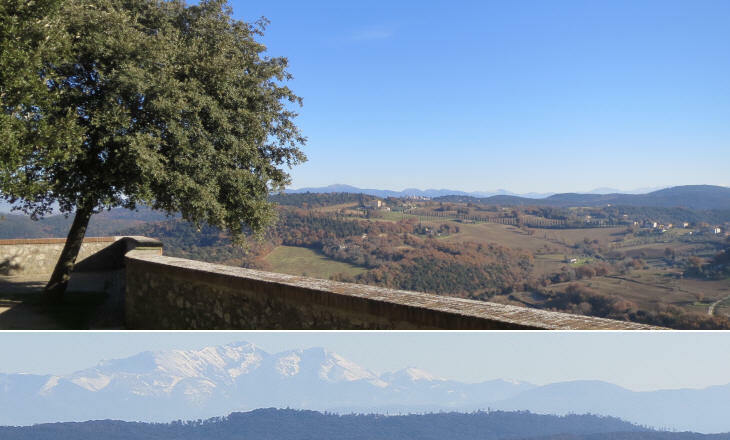 Notwithstanding its limited height, the hill enjoys commanding views on all directions, an element which favoured its becoming an early settlement of the Umbrian tribes. According to Pliny the Elder, the town was founded before Rome. This is reflected in the letters APCA (Antiani Populi Civitatis Ameriae) written on the coat of arms of the town (antianus=ancient). The importance of ancient Amelia before the Roman conquest is evident when one considers the length of the massive polygonal walls which surrounded the foot of the hill, which by far exceeds those of the walls of Alatri and Segni and other ancient towns of southern Latium. 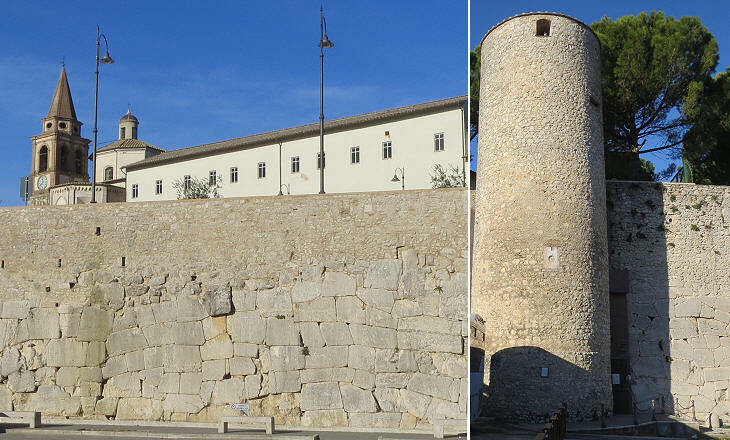 Small round towers were added during the Middle Ages, but the fortifications of the town were not upgraded to the requirements of cannon warfare. The upper part of the town had its own fortifications and it is likely that during the Middle Ages all the inhabitants of Amelia lived in the upper town. A square in the lower town is still known as Croce di Borgo and Borgo indicates that the square was outside the city walls. The buildings of today's Amelia rest on those of the ancient town. 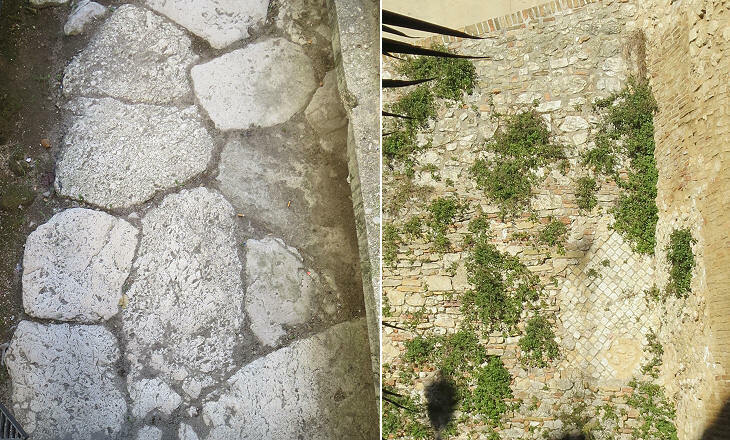 The Romans built many walls to support terraces in order to overcome the unevenness of the ground. 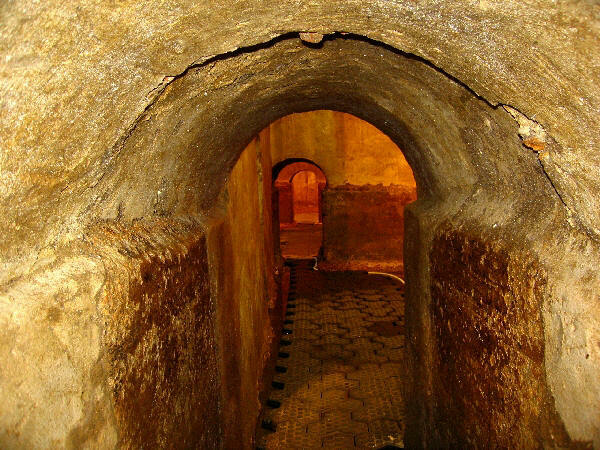 They built a series of large cisterns at the top of the hill, from which conduits distributed the water to the whole town (see an image from Musei Provincia di Terni - it opens in another window). 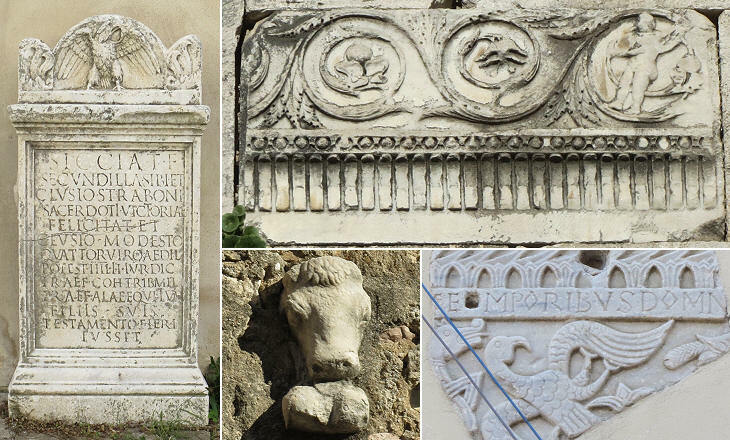 Amelia does not retain any major monuments of its ancient past, but fragments of their decorations and funerary inscriptions can be seen in many places. This is in part due to Bishop Torquato Perotti who in 1641 promoted the gathering of Roman memories near his palace and had some of them walled on Torre Civica. His example was followed by other citizens. Torre Civica was the bell tower of the nearby Cathedral (which was almost entirely rebuilt after a fire in 1629 and an earthquake in 1832) and at the same time a watch tower and a last resort keep. 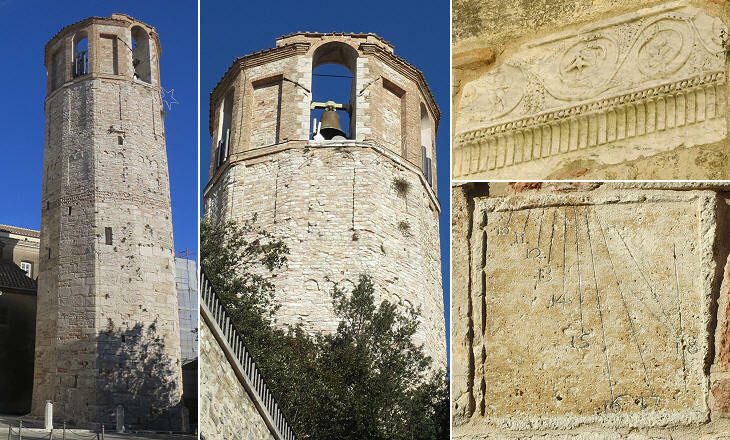 A stone at its base bears the date 1050, but perhaps its dodecagonal shape was designed in the XIIth century when similar towers were built at Orvieto at Abbazia dei SS. Severo e Martirio and at S. Andrea. 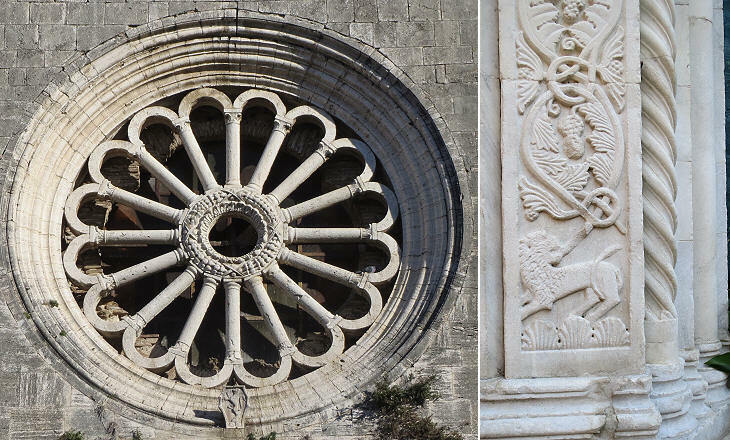 During the first half of the XVth century Filippo Brunelleschi and Leon Battista Alberti developed the basis of Renaissance architecture, but Amelia was a small provincial town and in 1477 the façade of S. Agostino was designed according to traditional medieval patterns, although the wreath at the centre of the rose-window shows that the new style was making some inroads.